When it comes to wine-related villains, sulphites are usually at or near the top of everyone’s list. There’s reason to believe that they may not be the culprits behind all of the crimes for which they’re blamed, though, so we’re diving into the world of sulphur dioxide to discover how it ends up in your wine, what it means for you, and what (if anything) you should do about it. Sulphites (SO2, or sulphur dioxide) are a natural by-product of the wine-making process, given off by yeast in the fermentation process. They’re also added by many commercial wineries, at the end of wine production, because their antibacterial and antioxidant properties make them an effective preservative agent, maintaining freshness. In fact, they’re used for this purpose beyond the wine industry as well; dried fruit, soda, and even packaged meats often contain sulphites as well. Should I be concerned about sulphites in my wine? Unless you have asthma or are part of the small portion of the population that is allergic to sulphites, the ingredient is generally harmless. In fact, while many people blame infamous red wine headaches on sulphites, it is much more likely than tannins (or alcohol itself) are to blame for the discomfort; in fact, red wines typically contain less sulphites than white wine, and both kinds of wine generally contain significantly less sulphites than dried fruit and other food products. If you can eat craisins or dried mangoes without headaches, then the chances are good that it’s not sulphites you’re reacting to – it’s tannins, alcohol, sugar, or something else altogether. Can I reduce the sulphite-levels of my wine? If you’d like to limit your sulphite-intake, making your own wine is a great way to keep the numbers down. While sulphite-free wine is a virtual impossibility (because some SO2 is naturally produced by yeast in the fermentation process), you can choose to pass on the preservatives added to the finished product. Keep in mind that doing so is not recommended for wines that you intend to age, and that some wines may be better suited than others (red wines, for example, contain tannins which act as natural preservatives, and thus these wines have a lesser need of preservatives than white wines). When in doubt, ask an experienced winemaker. If you’d like to reduce your sulphite-intake from commercial wines, decanting is a great way to go. Sulphites are quite volatile, so decanting your wine and allowing it to breathe before serving it can help reduce sulphites levels in the wine you consume. 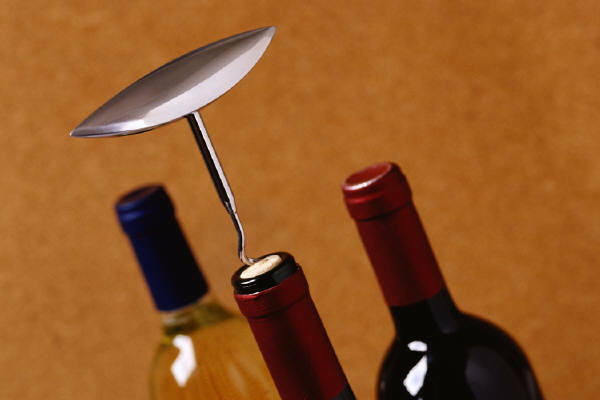 For white wines (or wines that would be best un-decanted), using an aerating pourer can achieve the same result.